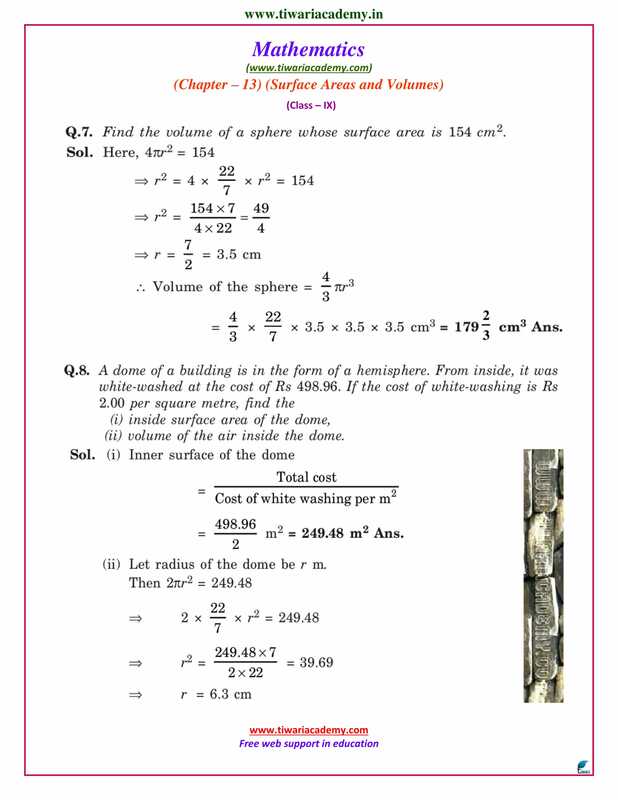 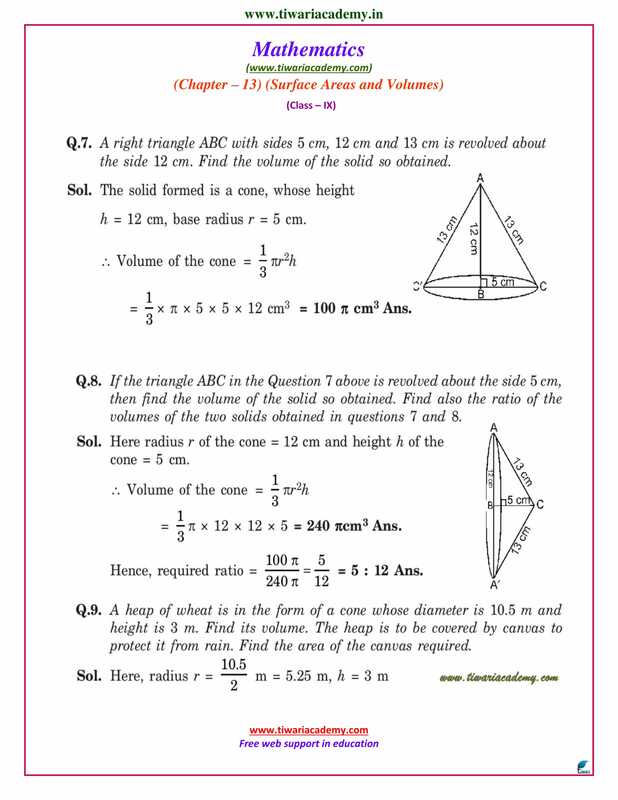 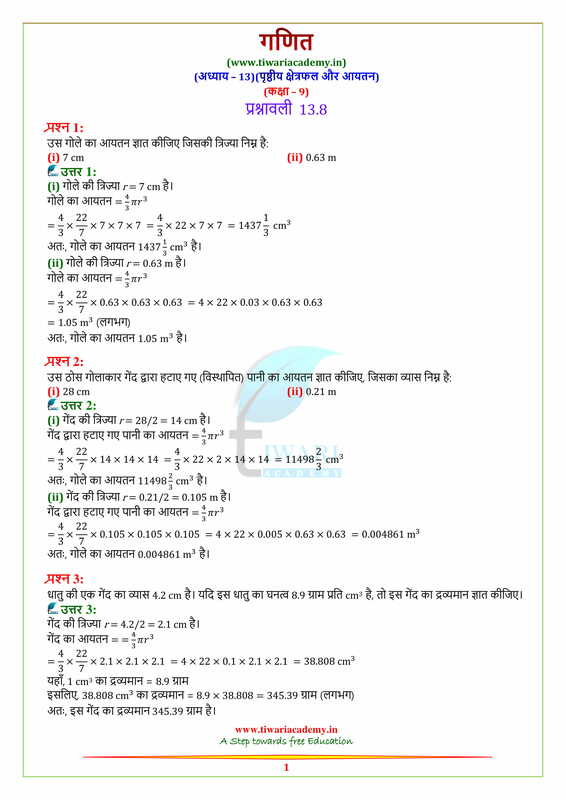 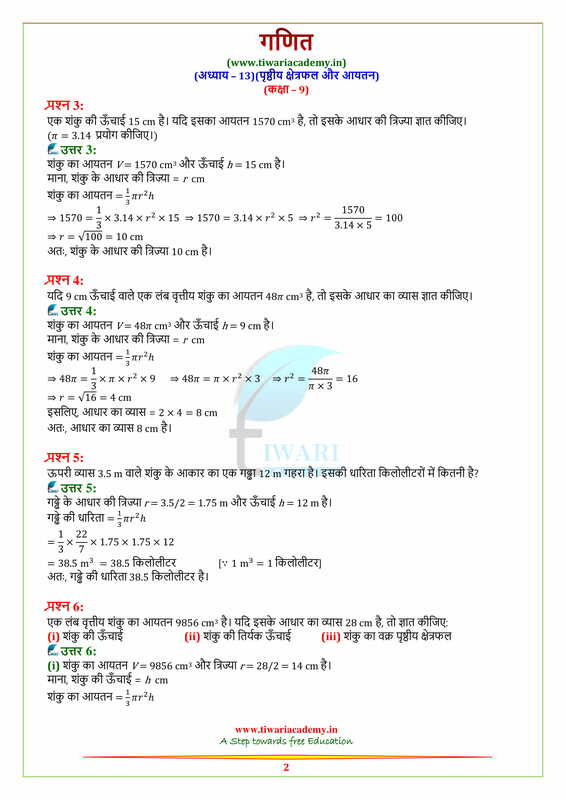 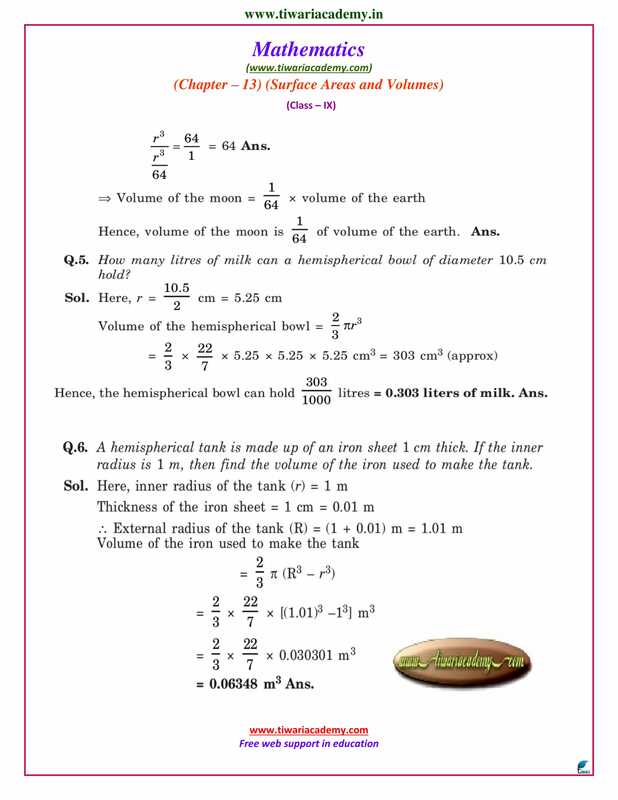 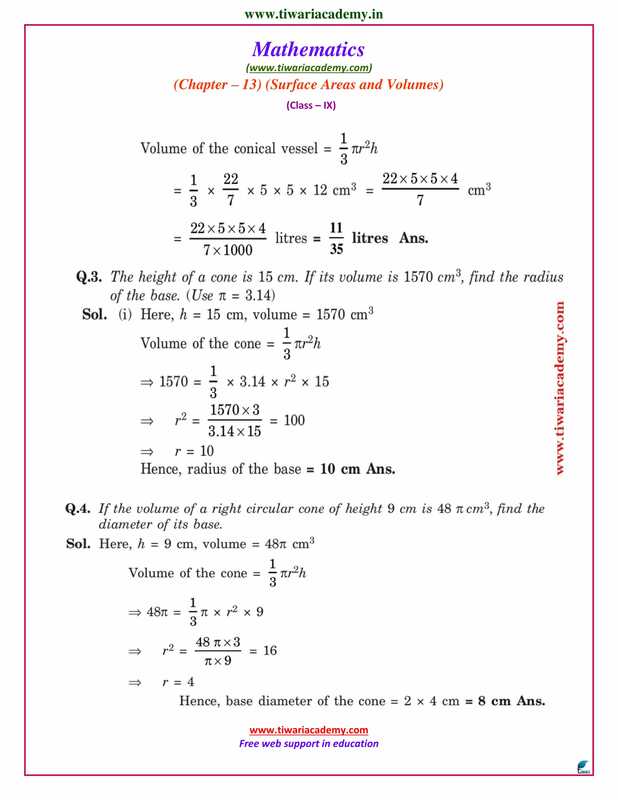 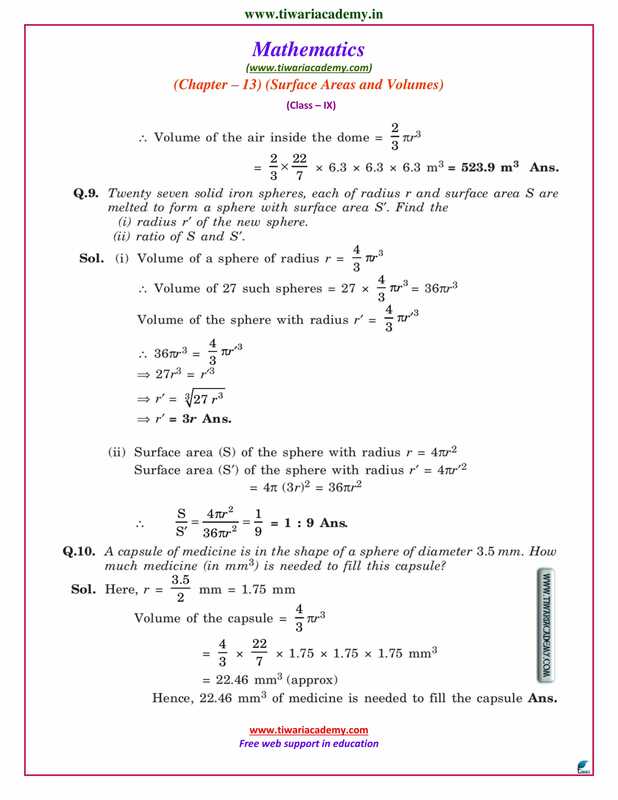 Free Download NCERT Solutions for Class 9 Maths Chapter 13 Exercise 13.7 & 13.8 surface areas and volumes in English Medium and Hindi Medium free to use online. 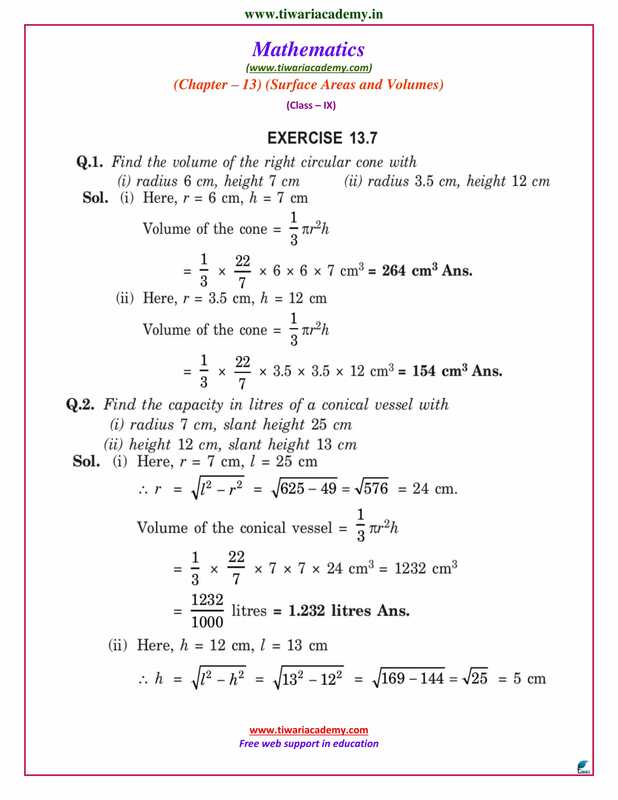 NCERT Solutions for all subjects and the solutions of other exercises like Exercise 13.1 & 13.2 or Exercise 13.3 & 13.4 or Exercise 13.5 & 13.6 or Exercise 13.9 are also given to use online. 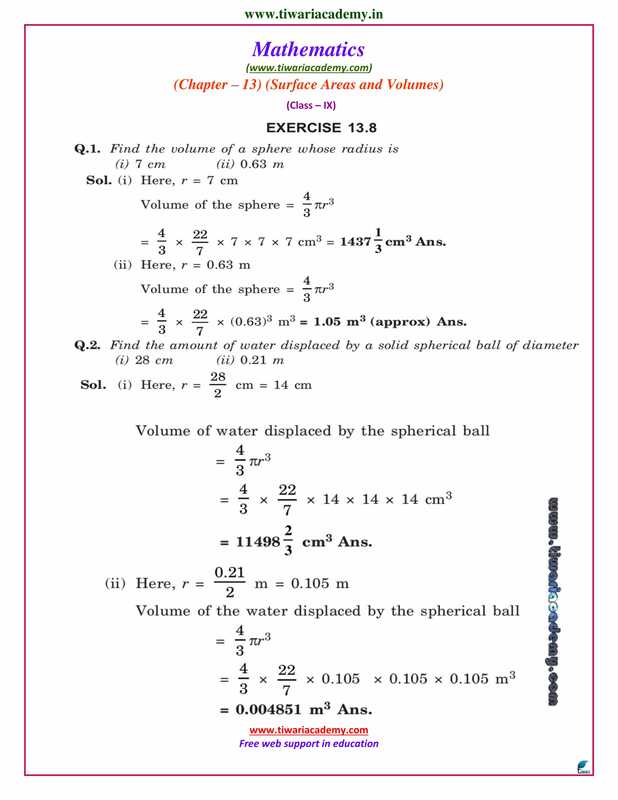 The radius of a sphere is 10 cm. 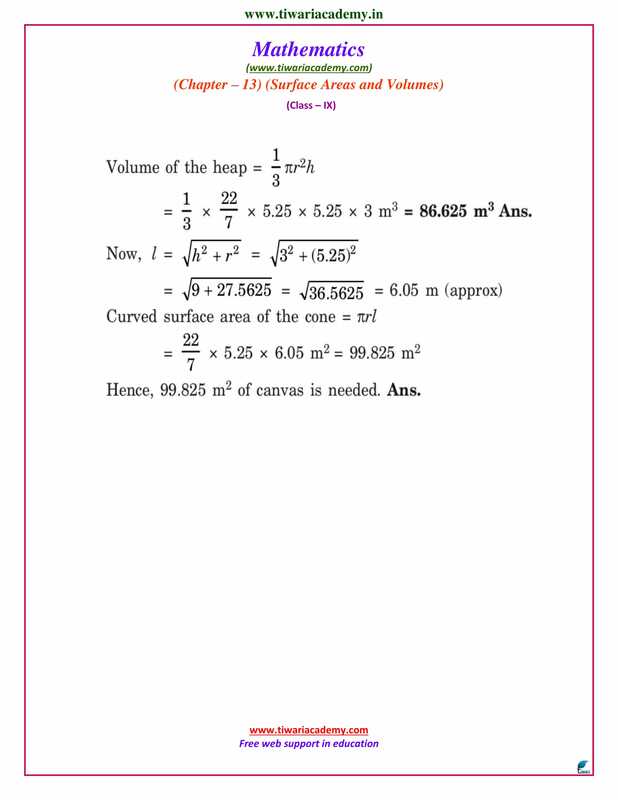 If the radius is increased by 1 cm. 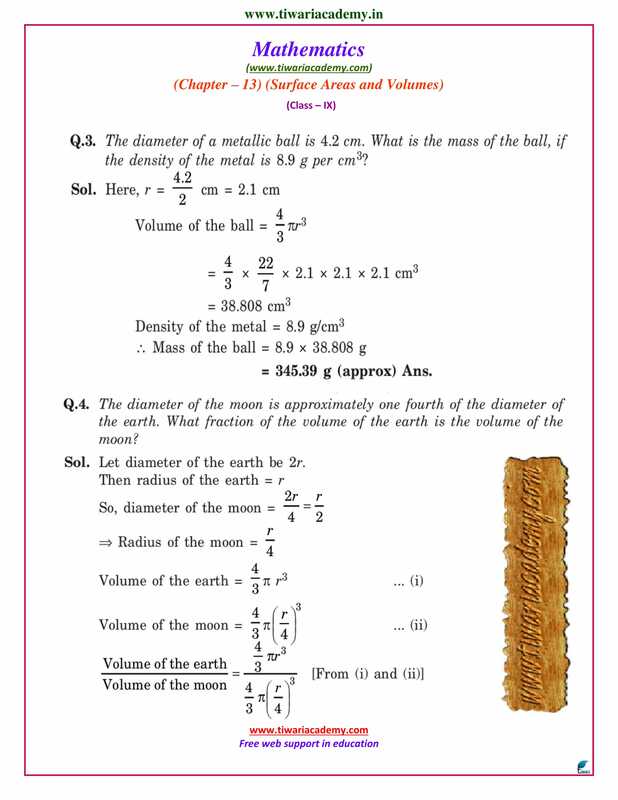 then prove that volume of the sphere is increased by 33.1%.